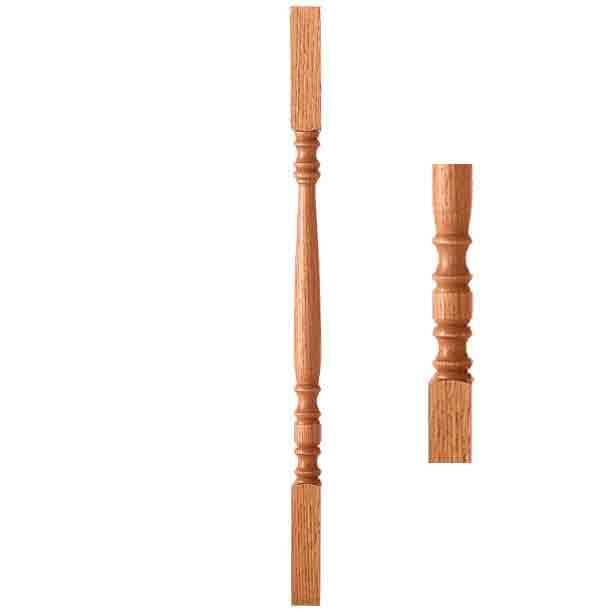 Woodstairs.com has one of the largest selections of standard square top traditional wood balusters on the web. 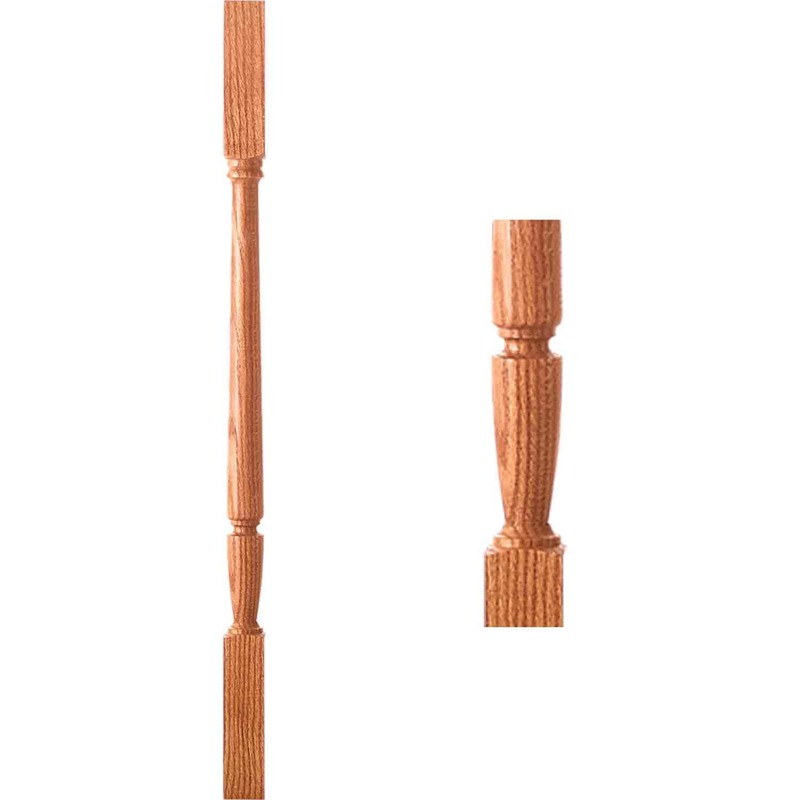 In addition to the following profiles we can custom turn any profile you need and in any available wood species. Also, just because an item isn’t shown as standard doesn’t mean it will cost an arm and a leg, as the saying goes. The unlimited design possibilities simply make listing every variation too complex but in most cases custom turnings are very close in price to our standard designs of similar size and wood species. 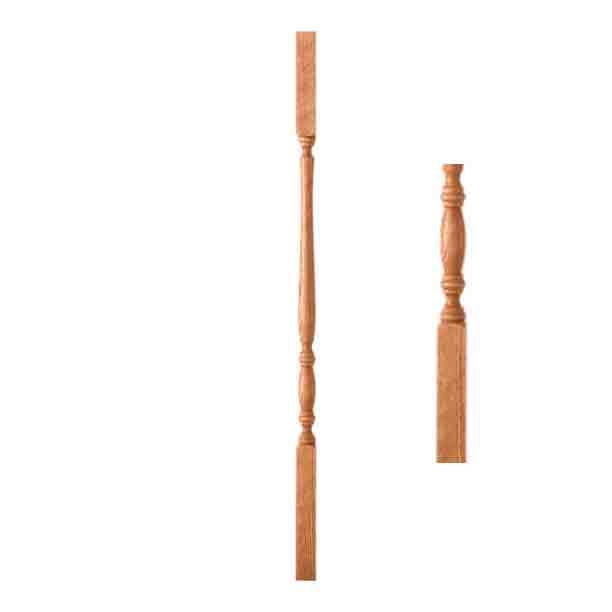 Remember that most of our turned wood baluster profiles are available in several options including Standard, Fluted, Beaded, Twisted and Octagonal. 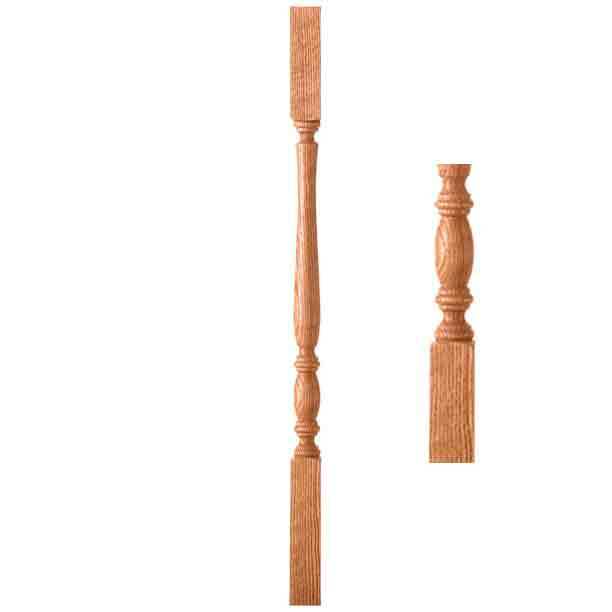 Again, WoodStairs.com specializes in custom turned wood balusters, newel posts, columns, table legs, and cabinet legs. Whether you need to match your existing hard-to-find profiles or are looking for a unique spin we are eager to help. In addition we can produce any of our standard turnings or your custom profiles in any available wood species. Just contact one of our Stair Specialists at CustomersFirst@WoodStairs.com or 888-390-7245.